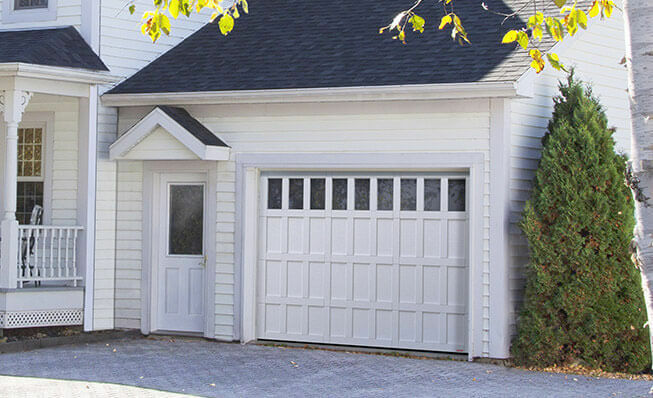 Garage doors in Espanola, ON | Nordoors Sudbury Ltd.
Nordoors Sudbury Ltd. can help you! Proudly offering quality work, customer care and quick response times, Nordoors Sudbury Ltd. is a well-known garage door company in Espanola, ON. For many years now, our business has exceeded the highest expectations of our customers. You need help with your garage door system, call us today at 705-675-3005. Providing 24‑hour emergency service to help you with your garage door system, you can call us at 705-675-3005 if your garage door isn’t working properly for any reason in any time of the day or night. You can also fill out our service call form. Our company also serves Algo, Alban, Azilda, Chelmsford, Coniston, Garson, Hanmer, Val Caron, Val Therese and the City of Greater Sudbury. Searching for a garage door in your area? Whatever the style of your home, our company carries garage doors for every architectural style, from contemporary to traditional. Take some time to look at our image gallery to get ideas and find the perfect garage door for you. Looking for garage door parts? At Nordoors Sudbury Ltd., we keep all kinds of replacement parts and many decorative accessories in our inventory, if you want to add charm to your home. Our specialties are garage doors’ installation, maintenance and service. We can help you with your broken springs or spring replacements, as well as garage door opener parts. A garage door opener is a must when you have a garage door. At Nordoors Sudbury Ltd., we strongly recommend going with a Liftmaster opener as they offer the most reliable performance in the industry. They also have options for commercial, industrial and residential garage opener needs. Located in Northern Ontario, Espanola has cold winter and the temperature in summer and autumn are among the coldest for any city in any Canadian province. In order to keep your place comfortable all year, we recommend you have an insulated GARAGA garage door for energy efficiency. You can even design your own in our Design Centre. Barbers Bay, Connaught, Hill District, Hoyle, Kamiskotia, Mattagami Heights, Melrose, Moneta, Mountjoy, Porcupine, Schumacher and South Porcupine.